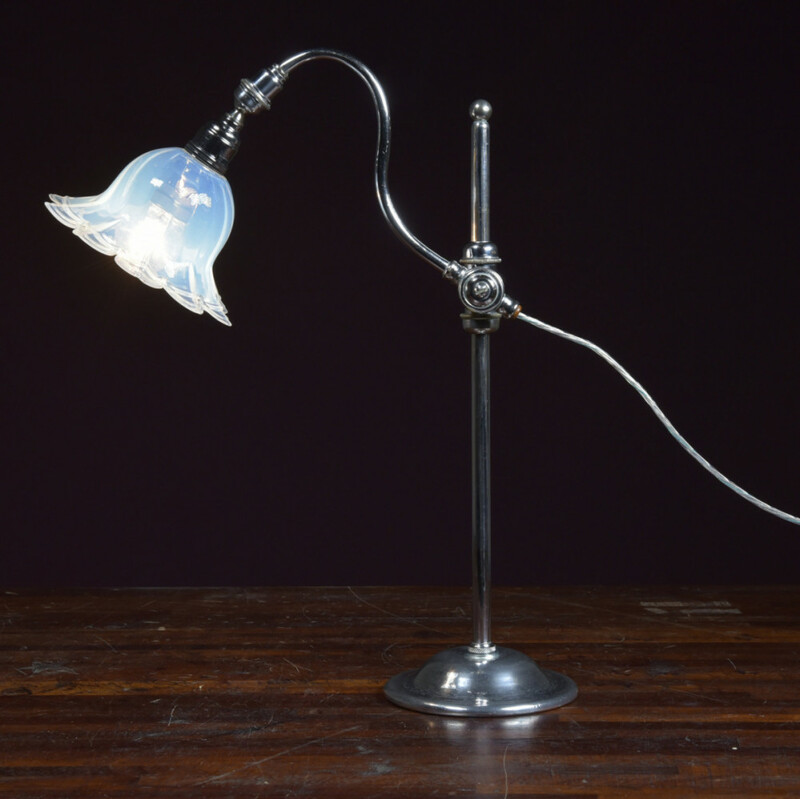 An early 20th century highly adjustable antique desk / table / task lamp with a clever friction mechanism that rotates around and moves up and down the central stem so altering the height and position of the swan necked lamp arm which also adjusts up and down. 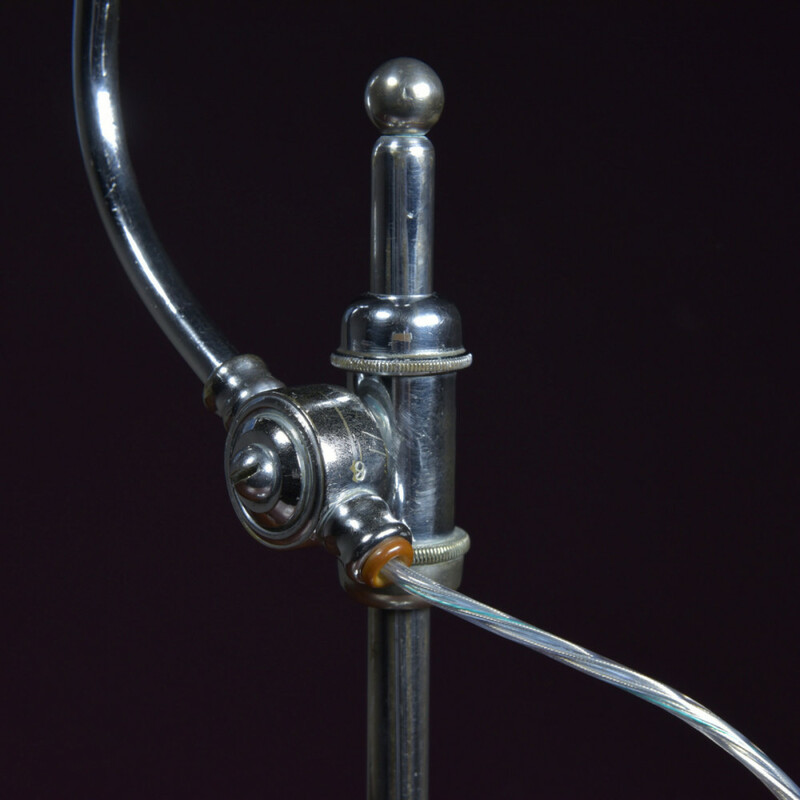 The switched lampholder attaches to this arm with a ball and socket joint providing further adjustment to the shade. 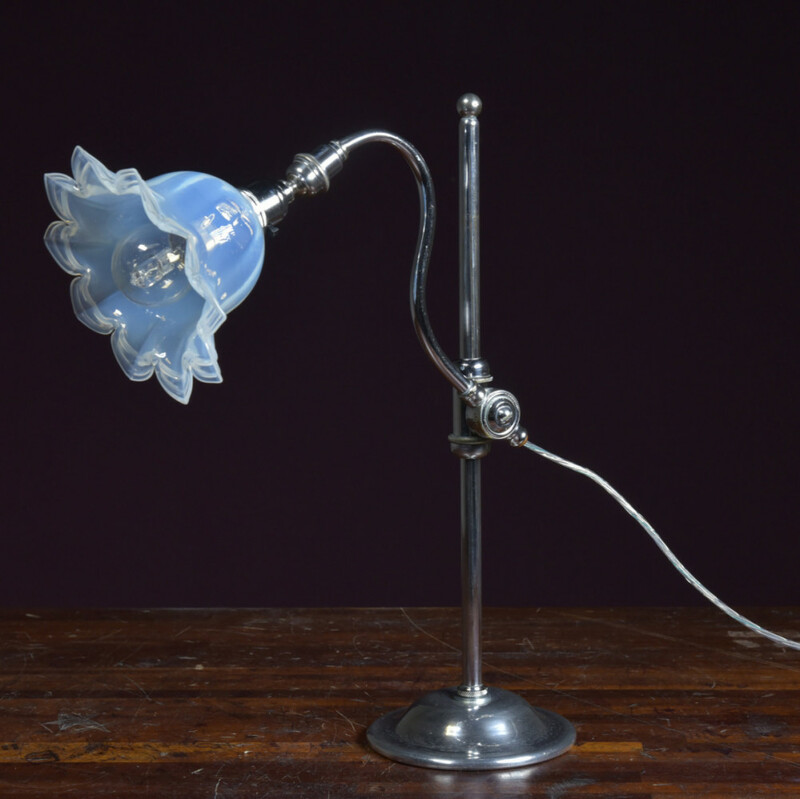 No makers name but similar lamps are marked "Supreme adapt-o-lite" to their bases. Maybe this is an earlier / prototype version. Please note i have two of the "adapt-o-Lites" for sale. The friction mechanism, arm and ball joint adjustments all work perfectly. 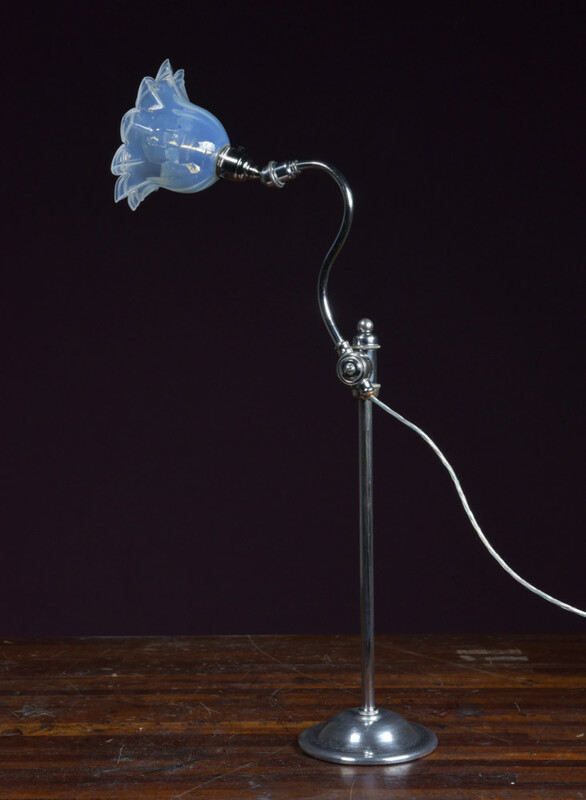 The base is spun aluminium weighted with cast iron. The other parts are chromed brass. 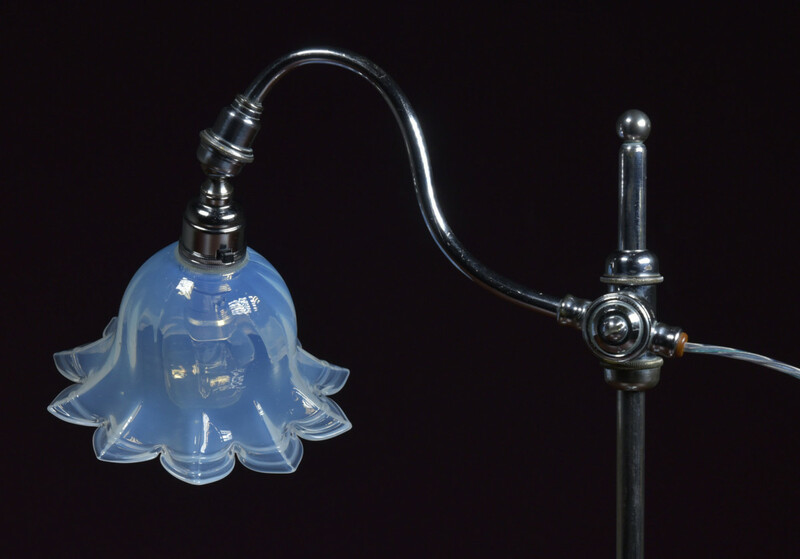 The shade is not original to the lamp and is a good vaseline one that is not included in the price. 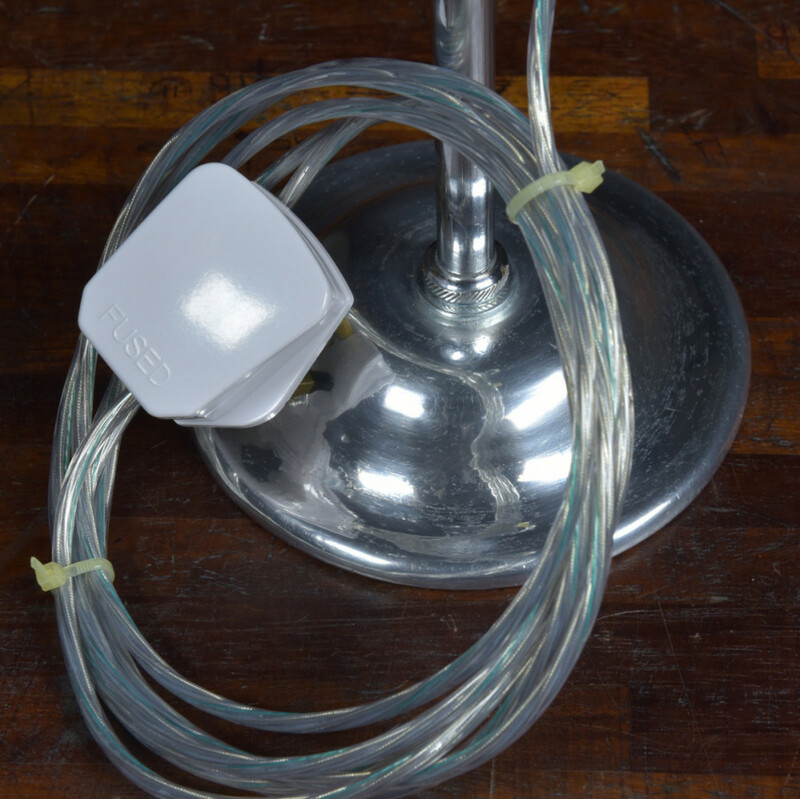 It has been rewired with a new chromed switched lampholder (British made), 3 meters clear flex and a hard plastic white plug. Dimensions in inches/cms; Max height approx 26"/66cms (with shade pointing upward) 16"/41 cms - height of central stem Max depth is approx. 16"/41cms ( arm length is approx 10"/25cm) Base is 5.25"/13.5cms diameter Shade sold separately to lamp For more / higher res images please see my blog which can be accessed through the news section of this (haes) website.